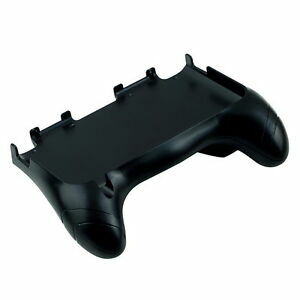 Features:High quality and brand-new designHand Grip Game controller Handle Stand for Nintendo old 3DS LL XL.Specially designed for Nintendo old 3DSLL loversGiving you comfortable holding feeling while playing the gamesWith rear bracket, easy and secure to place your Game machine onDescriptions:Essential for Nintendo old 3DSLL players!Styled controllers, this joy-pad offers the ultimate control for your favorite games.Light weight design.Specifications:Apply: For NintendoMaterial: PlasticSize:18 x 13 x 4cm(L x W x H)Color: BlackPackage included:1 x Handle Stand for Nintendo old 3DS LL XL Notes: This machine supplies for the old models. It is only suitable for the old main body. Marke byeco-frshop Herstellernummer BY01. Sofortige Zahlung von EUR 3,68 erforderlich.